Many Jews are rightly concerned about the viability of the Jewish tradition in the face of challenges from modern science, philosophy, and political ideas. Orthodox enclaves have proved wonderfully resilient by pursuing a strategy that largely ignores these issues. But what can be said to young Jews who are unwilling or unable to ignore modern ideas? Jews who wish to pursue scientific and philosophical studies at the highest level—and want to know if Judaism can remain meaningful in light of them? And what of non-Jews who want to believe that the Jews still have something important to say to the world? These questions have been asked before. But the answers proposed have too often involved giving up on the intellectual and spiritual assets of the Jewish people and exchanging them for what have frequently turned out to be passing fads in modern thought. 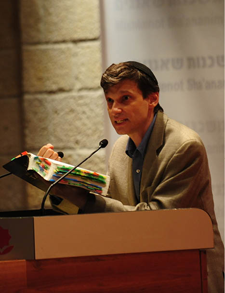 There is still no institution anywhere devoted to developing and disseminating the Jewish story—including the ideas of the Hebrew Bible and Talmud, the impact of these ideas on the history of the world, and the relevance of Judaism and Israel in our time—in a way that effectively answers questions raised by modern science and scholarship, and that can be relevant to thoughtful women and men both in the academic setting and in broader public life. In the 1890s, Theodor Herzl called upon Jews to “return to Judaism”—to take up a life of proudly Jewish character, in which Jewish contributions to humanity would be made not through assimilation into the ideas and ways of the nations, but by means of Jewish independence both in politics and in the realm of the spirit. While Herzl’s political vision was achieved with the founding of the State of Israel, we are still waiting for the establishment of Jewish independence and self-determination in the realm of ideas and of the spirit. The Herzl Institute is proposed in answer to this need, as urgent today as it was a century ago. The Herzl Institute is the first research institute and training center specifically directed toward the development of Jewish ideas in fields such as Jewish philosophy and theology, Jewish political theory, the history of Jewish ideas on the world stage, the history and philosophy of Zionism, and the relationship of all of these disciplines with the broader world of general philosophy and science. 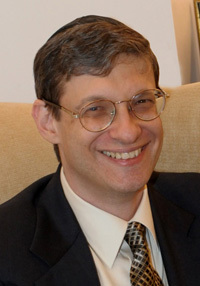 Together, we hope to be build up a hub for scholarship and educational programs aimed at advancing a uniquely Jewish approach to modern science and ideas, providing scholars and students, rabbis and lay leadership with the tools needed to propose Judaism as a real alternative to other systems of thought now competing in the marketplace of ideas. We have entered a moment in history in which the status of Judaism is no longer a given. Like much else in the civilization of the West, the place of the Jews and of Judaism is now in play. Alongside forces that have grown more hostile, there are other countervailing forces. 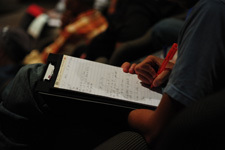 In many places, we can see a waning of influences that have long prevented a respectful treatment of Jewish texts and ideas, and with this a new openness and a willingness to learn. Today there are many Jews, Christians, and others as well, who are anxious to hear that Judaism has something important to say. But do we know what it is we want to say to them? All this is new, and it requires us to reconsider much that we’ve taken for granted. There should be one place in the world where women and men can come to reconsider and to think. 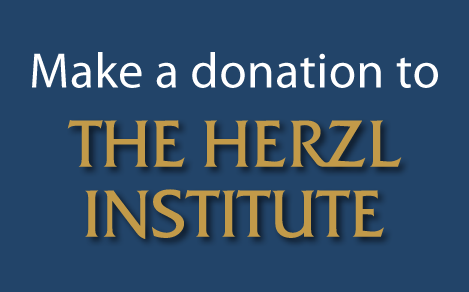 Together, we can provide this place at the Herzl Institute in Jerusalem.